DEEP PURPLE-THE JOURNEY TO ROCK TITANS. Little did record buyers realise it,that the seventies was the golden era for rock music. That was when rock music came of age. So did true titans of rocks, like Led Zed Zeppelin, Black Sabbath and Deep Purple. As the seventies dawned, they become three of biggest bands in the world. For the four members of Led Zeppelin, their lives were transformed when their debut album became one of the biggest selling albums of 1969. This was the start of the rise and rise of Led Zeppelin. They had released three albums that had sold over twenty-five million by the time Deep Purple made a commercial breakthrough. It had taken four albums before 1970s Deep Purple In Rock transformed the fortunes of Deep Purple. For the next five years, commercial success and critical acclaim would be constant companions of Deep Purple. Between 1970 and 1975 Deep Purple enjoyed worldwide success. Deep Purple would also become one of hardest rocking groups of the seventies. Vying with Deep Purple for the title of Kings of seventies rock were Led Zeppelin and Black Sabbath. Just like Deep Purple, they were hugely successful and hard rocking bands. They were also the hardest living living rock groups. This lead to them being known as the “unholy trinity of British hard rock and heavy metal.” The three groups seemed proud of their infamy, and wore it like a badge. The “unholy trinity’s” penchant for the rock ’n’ roll lifestyle was legendary. Excess and extravagance was an everyday occurrence. Similarly, chaos and carnage was omnipresent as the “unholy trinity” toured the world. Each group seemed to determined to outdo the other. Hotel rooms were wrecked, televisions thrown out of windows and copious amounts of drink and drugs consumed. This would ultimately come at a human cost later in the seventies with the death of Led Zeppelin’s John Bonham. Until then, the party continued; and the “unholy trinity” continued to make what would be remembered as some of the best, and most memorable music of the seventies. They were living the dream. Especially Deep Purple, who had only been formed in 1968. The first member of Roundabout was Jon Lord, a classically trained organist. He’d previously played with The Artwoods. Guitarist Richie Blackmore, who recently, had been working as a session musician is Hamburg auditioned. He too joined Roundabout. So did bassist Nick Simper, whose most recent band was The Flower Pot Men. Nick was a friend of Richie Blackmore. The two other members of Roundabout were also friends. Rod Evans was recruited as the lead vocalists. Previously, he was a member The Maze. Their drummer was Ian Paice. Nick became the final piece in the jigsaw. However, he was not the first choice drummer. Originally, Bobby Woodman was meant to be Roundabout’s drummer. He was drummer when Rod Evans auditioned as vocalist. Richie Blackmore had seen Nick Paice playing before. Although just eighteen, Richie knew Ian Paice was a good drummer. So when Bobby headed out to buy cigarettes, Ian Paice was auctioned. Instantly, everyone realised Nick Paice was a better drummer. When Bobby returned with his cigarettes, he was no longer Roundabout’s drummer. However, at least Roundabout’s lineup was settled. Or so people thought. As soon as Deep Purple was recorded, Deep Purple jumped on a plane and headed back to America. They rejoined the tour of the country that had claimed them as their own. There was a problem though. Tetragrammaton, Deep Purple’s American label hadn’t pressed the album. Worse than that, the label had financial problems. Within a year, they would be insolvent and filing for bankruptcy. Already, this was affecting Deep Purple. Their manager John Colleta headed home. He decided that this would save on a hotel room. Things it seemed, couldn’t get any worse for Deep Purple. Lead vocalist Ian Gillan had contracted hepatitis. His doctors advised him to rest. For Deep Purple, this was a disaster. The hotel rooms and mobile recording studio was booked. They’d already had to cancel their forthcoming American tour. Cancelling the recording of their sixth album would be an utter disaster. No doubt realising the gravity of the situation, and buoyed by the excitement of starting recording a new album, Deep Purple decided to head to Switzerland. 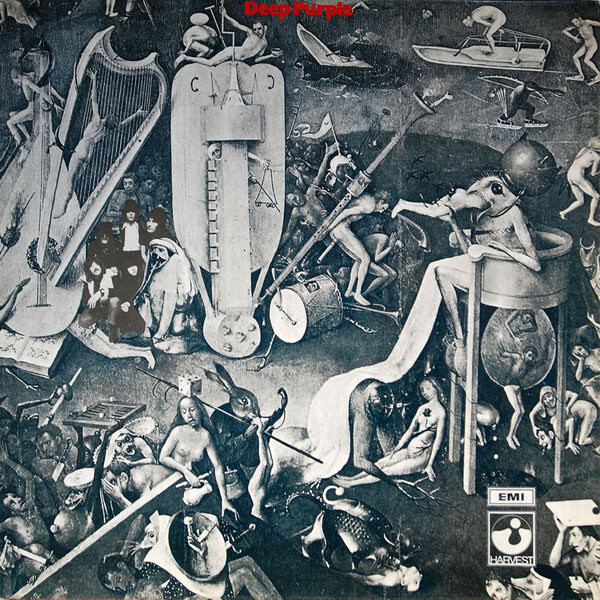 By August 1972 Deep Purple had arrived in Japan. They’d been popular in Japan for most of their career. 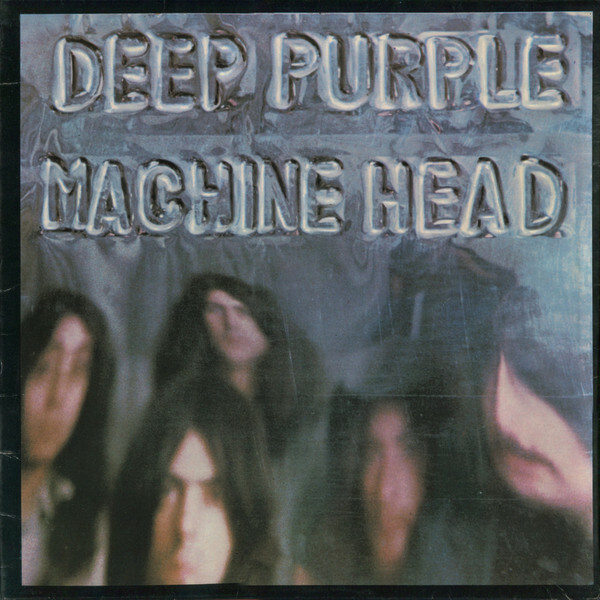 However, Machine Head transformed Deep Purple’s fortunes. This included in Japan. On the 15th and 16th of August 1972, Deep Purple took to the stage in Osaka. 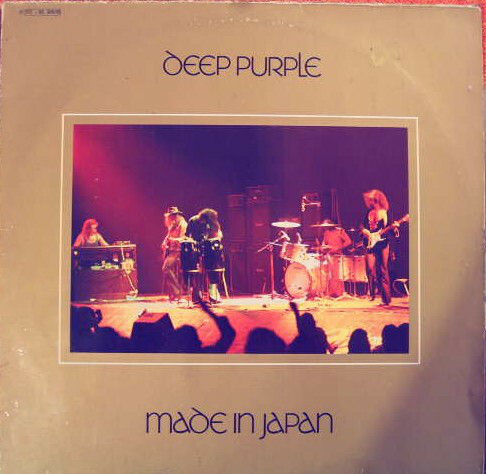 Then on 17th August 1972, Deep Purple landed in Tokyo. These three concerts were recorded and became Made In Japan, which was akin to a a heavy rock masterclass from Deep Purple. When Who Do We Think We Are. Following the critical acclaim and commercial success of Made In Japan, Deep Purple were keen to build on the momentum created by their live opus. Fortunately, Deep Purple had already recorded a new studio album. It had been recorded in Europe, during summer and autumn 1972. The five members of Deep Purple had penned seven new songs, and they were recorded during using the Rolling Stones Mobile Studio. It made its war to Rome, Italy in July and part of When Who Do We Think We Are was recorded there. Then in October 1972, When Who Do We Think We Are was completed in Frankfurt in Germany. With their new studio album completed, this should’ve been a time for celebration. It wasn’t though. Far from it. The group was slowly being ripped apart by disagreements within Deep Purple. Tensions had been high when When Who Do We Think We Are was being recorded. Things got so bad, that members of the Deep Purple weren’t speaking to each other. This resulted in a schedule having to be drawn up, so that warring band members could record their parts separately. Somehow, though, the five members managed to record the followup to Made In Japan. The big question was, would the internal strife affect quality of music on When Who Do We Think We Are? When critics heard When Who Do We Think We Are, there was no consensus. Critics felt the quality of music was inconsistent. That was why reviews ranged from mixed to negative. 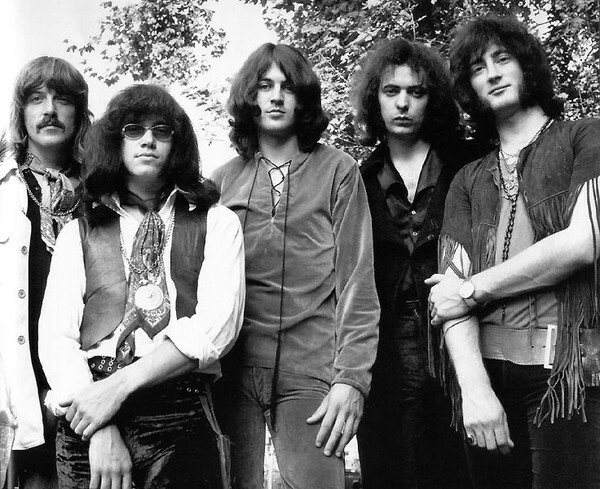 Some critics accused Deep Purple of merely “going through the motions of making an album.” This was a far cry from previous albums. When Who Do We Think We Are was released in January 1973, it reached number four in Britain. Across the Atlantic, the album proved successful, selling 500,000 copies within the first three months. This helped When Who Do We Think We Are reach number fifteen in the US Billboard 200. This resulted in gold discs in America and France. Compared with Deep Purple’s recent success this was seemed slightly disappointing. To make matters worse, vocalist Ian Gillan and bassist Roger Glover left the band after Who Do We Think We Are. Deep Purple’s career looked like it was at a crossroads. With Ian Gillan and Roger Glover having left Deep Purple, this left a huge void. marked the end of an era for Deep Purple. Ian Gillan and Roger Glover were almost irreplaceable. They had played a huge part in Deep Purple’s rise to titans of rock. From Deep Purple In Rock, right through to Made In Japan, Deep Purple enjoyed critical acclaim and commercial success. 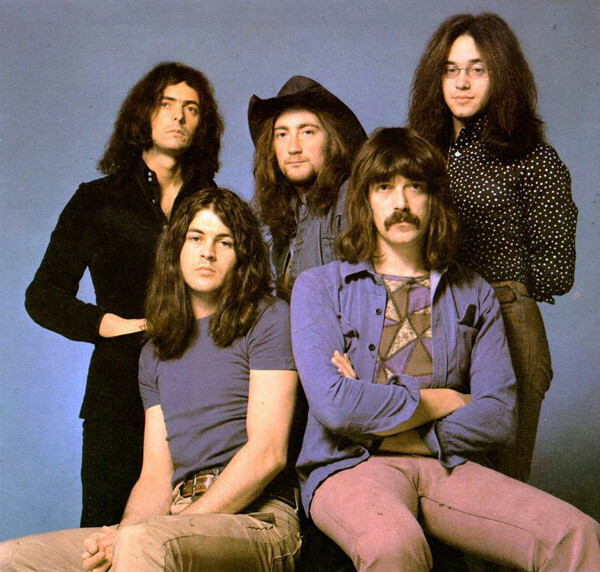 Deep Purple, and its classic lineup of Ritchie Blackmore, Ian Gillan, Jon Lord, Ian Paice and Roger Glover were one of the biggest bands in the free world. However, the departure of Ian Gillan and Roger Glover looked as if this spelt the end of Deep Purple. Maybe it would be best if Deep Purple called it a day, while they were at the top. The last thing they wanted to do was besmirch their illustrious musical legacy. However, the three remaining members of Deep Purple weren’t ready to call it a day. Instead, the two departing members of Deep Purple were soon replaced. A then unknown David Coverdale became Deep Purple’s vocalist, while Glen Hughes of Trapeze took over as bassist. They had big shoes to fill. However, with the help of the remaining members of Deep Purple, managed to do so during 1974. It was one of the busiest years of Deep Purple’s career. With the two new members of Deep Purple onboard, work began on the first album of Deep Purple Mk. III’s career. When work began on what became Burn the five members of the band were involved. There was a problem though. Glenn Hughes had unexpired contractual obligations. This meant he couldn’t be credited on the album. Despite this, Glenn Hughes and the rest of Deep Purple cowrote five songs. The exceptions were Sail Away and Mistreated, which Richie Blackmore and David Coverdale cowrote. 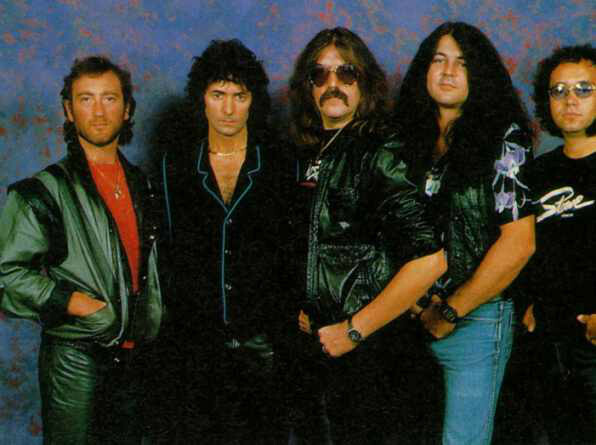 A200 which closed Burn, was written by Richie Blackmore, Jon Lord and Ian Paice. These songs were recorded in Montreux, in Switzerland. Recording of Burn took place during November 1973. The Rolling Stones Mobile Studio had been hired, and made its way to Montreux. This was where the new lineup of Deep Purple made its debut. Deep Purple Mk. III featured a rhythm section of drummer Ian Paice, bassist Glenn Hughes and guitarist Richie Blackmore. Augmenting the rhythm section, was keyboardist Jon Lord. They provided the backdrop for new vocalist David Coverdale. He was part of a group that moved Deep Purple’s traditional sound forward. There was more of a boogie influence on Burn, which even featured elements of funk and soul. 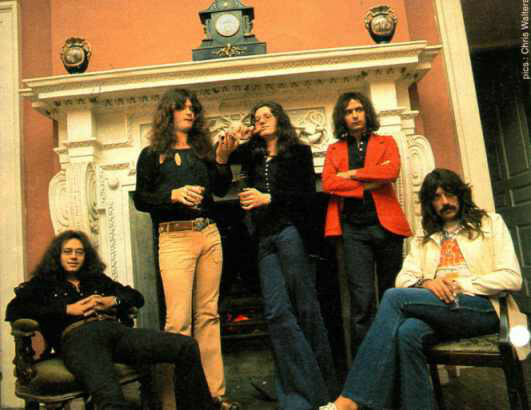 Once Burn was completed, Deep Purple would shortly showcase their new sound. 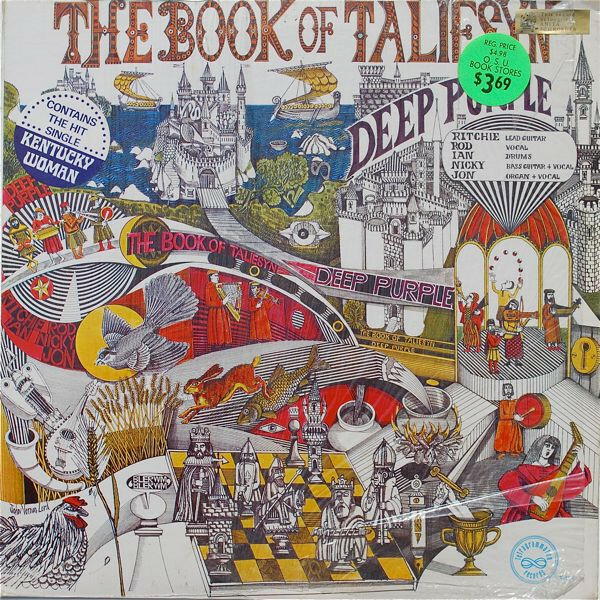 With Burn recorded, and the release scheduled for 15th February 1974. Before that, critics had their say on Deep Purple’s eighth studio album. Most of the critics were impressed with Deep Purple Mk. III’s ‘debut’ album. The hard rocking Burn set the bar high, as a hard rocking Deep Purple kicked loose. There was no stopping them, as they incorporated elements of boogie, blues, funk and soul. 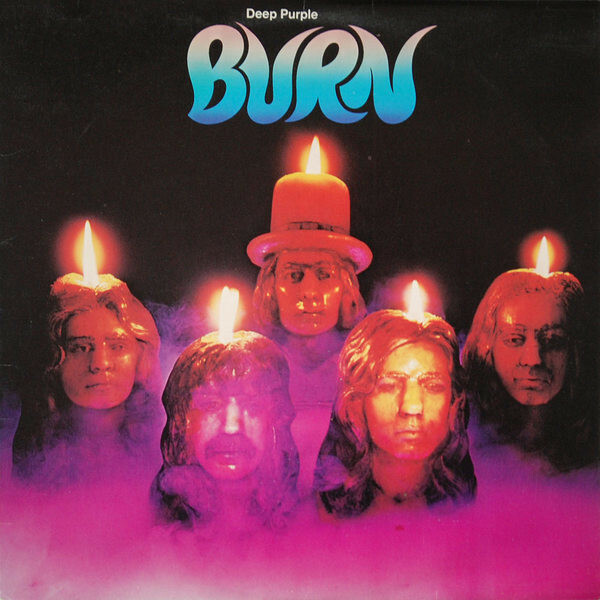 Burn was an album where Deep Purple’s music began to evolve. However, how would their fans respond? On the release of Burn on 15th February 1974, it reached number three in Britain and number nine in the US Billboard 200. This resulted in gold discs in America, Argentina, Britain, France, Germany and Sweden. Richie Blackmore, Jon Lord and Ian Paice’s decision to continue continue with Deep Purple had been vindicated. Now their thoughts turned to Deep Purple’s second album of 1974, Stormbringer. Following the success of Burn, Deep Purple began work on a new album, Stormbringer. It was a case of building on the momentum of Burn. So Deep Purple began work, writing and recording Stormbringer. Soon, though, it became apparent that Stormbringer was quite different from Deep Purple’s previous albums. The first difference was that only Love Don’t Mean a Thing, High Ball Shooter and The Gypsy were credited to Deep Purple. Previously, entire albums were written by, and credited to, the entire band. This had worked well. However, things had changed on Burn. Maybe by then, musicians were realising who lucrative songwriting was, and why various songwriting partnerships sprung up within Deep Purple? Deep Purple returned to the studio in August 1974. This time though, they made the trip to Giorgio Moroder’s Musicland Studios, in Munich. It was becoming a popular recording studio, and would continue to be throughout the seventies. Many rock bands, including Led Zeppelin and Queen would record albums at Musicland Studios. Deep Purple were just the latest band to make the journey to Munich. That was where they recorded a rock album with a difference. Before that, David Coverdale had made a discovery. One of the songs Deep Purple cowrote, was the title-track Stormbringer. When David Coverdale cowrote the song, he claimed that he had no knowledge that Stormbringer was the name of a magical sword in Michael Moorcock’s books. This was a somewhat embarrassing discovery. For Michael Moorcock, this was neither the first, nor last time Stormbringer would inspirer a musician. Hawkwind had been inspired, and later, so would Blue Öyster Cult, That was in the future. Before that, critics received advance copies Stormbringer. Critics were in for a surprise when they received a copy of Deep Purple’s ninth studio album, Stormbringer. When they played the album, they discovered that the funk and soul influences that had been glimpsed on Burn, were now much more prominent on Stormbringer. This came as a shock to critics. They had never envisaged one of the hardest rocking bands on planet rock, incorporating funk and soul into their music? Deep Purple’s stylistic change was about to backfire on them. None of the critics were impressed by Stormbringer. 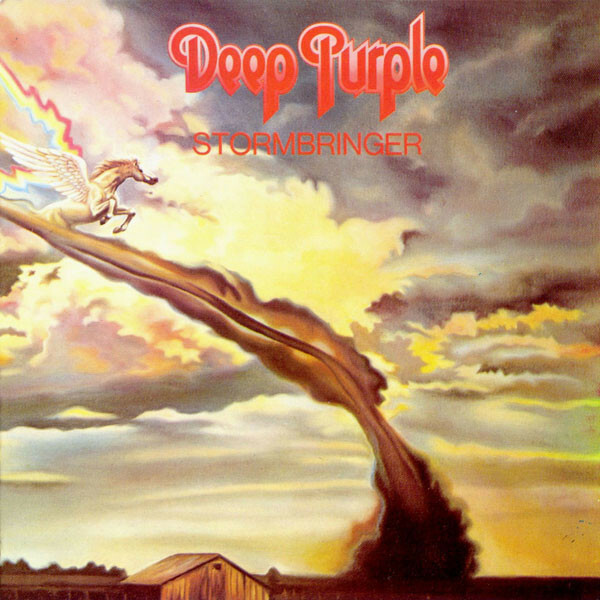 Reviews of Stormbringer called the album Deep Purple’s most disappointing album. There were few saving graces apart from Lady Double Dealer, which became goth metal favourite; the uber rocky High Ball Shooter and wistful balladry of Soldier of Fortune. Deep Purple had failed to reach their usual high standards…by a long chalk. How would their faithful fans react? When Stormbringer was released in November 1974, it reached number six in Britain and number twenty in the US Billboard 200. Stormbringer was certified gold in America, Britain, France and Sweden. Record buyers continued to buy Deep Purple’s albums, albeit not in the same quantities as during their classic era. Despite this, the two albums Deep Purple had released during 1074, meant it was one of the most successful years of band’s career. Sadly, 1975 was the beginning of the end. After releasing two albums that were certified gold on both sides of the Atlantic during 1974, successes gave way to uncertainty in early 1975. Guitarist Richie Blackmore decided to leave Deep Purple. Another member of the classic lineup had left. With just two remaining, and Deep Purple having just released the worst album of their career, surely now was the time for one of the titans of rock to call time on their career? If they didn’t, they risked harming their reputation even further. Despite this risk, Deep Purple Mk. III soon became Deep Purple IV. David Coverdale, one of the new recruits had approached Jon Lord to ask him to keep Deep Purple together. Jon Lord agree, and the search for a new guitarist began. It just so happened that David Coverdale new someone who suited the bill, Tommy Bolin. He was drafted in and work began on Come Taste The Band which was written in Los Angeles. For the first time ever, not one song on a Deep Purple album was written by the band. Come Taste The Band. Indeed, only two of the nine songs were was written by the two remaining members of the classic lineup of Deep Purple. Ian Paice cowrote the album opener Comin’ Home with David Coverdale and Tommy Bollin. Jon Lord cowrote This Time Around/Owed to ‘G’ with Glenn Hughes and Tommy Bollin. 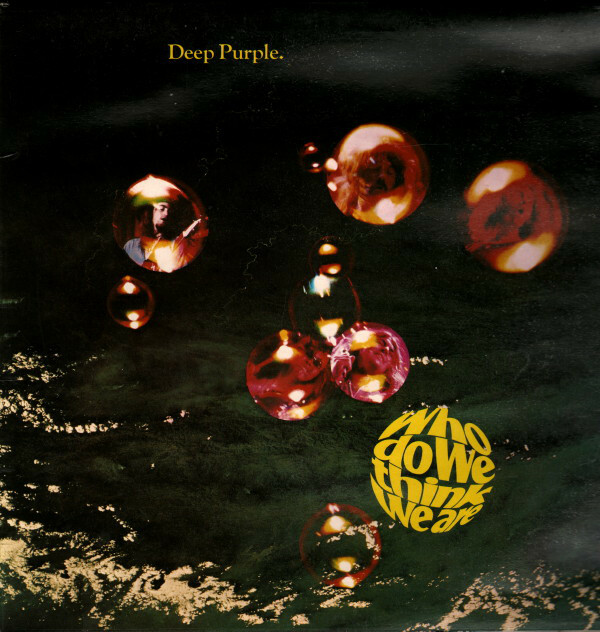 The rest of the album, was the work of thew new members of Deep Purple. Tommy Bollin and David Coverdale penned Dealer, I Need Love, Drifter and Love Child. David Coverdale and Glenn Hughes closed the album closer You Keep On Moving. The other song on Come Taste The Band, was Lady Luck, which was written by David Coverdale and Jeff Cook, who was Tommy Bollin’s usual songwriting partner. Just like at least one other track, this wasn’t a new song. At least two songs on Come Taste The Band weren’t new songs. Jon Lord later said that he thought that You Keep on Moving had been written in 1973 by David Coverdale and Glenn Hughes, and had been rejected for the Burn album. Lady Luck was another old song. It was going to make its debut on Come Taste The Band. However, there was a major problem. Incredibly, Tommy Bolin couldn’t remember the lyrics, and couldn’t get in touch with Jeff Cook. So David Coverdale rewrote some of the lyrics and Deep Purple recorded. the song. Fortunately, Jeff Cook approved the new lyrics and the pair shared the songwriting credits on Come Taste The Band. With Come Taste The Band written, Deep Purple began to rehearse the album at Robert Simon’s Pirate Sound Studios. Robert Simon was meant to be engineering Come Taste The Band. That was the plan. After problems about scheduling, Deep Purple left Pirate Sound Studios, and headed to Musicland Studios. No longer was Robert Simon going to engineer Come Taste The Band. Co-producing Come Taste The Band with Deep Purple was Martin Birch. Recording began on the 3rd of August 1975, and continued right through to the 1st of September 1975. By then, Deep Purple’s tenth album was complete. With Come Taste The Band recorded, EMI and Warner Bros, decided to release the album on Deep Purple’s Purple Records on 10th October 1975. 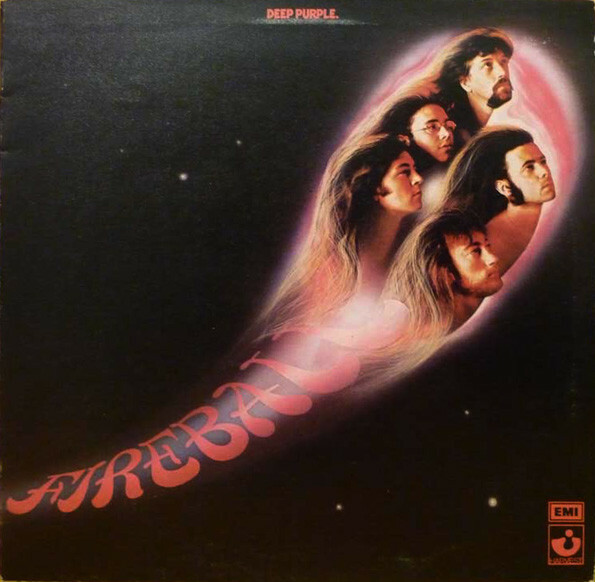 Purple Records had released every Deep Purple album since 1971. Back then, though, Deep Purple were a musical goliath. Things were very different four years later. Although Come Taste The Band saw Deep Purple return to a much more traditional hard rocking sound, the album was much more commercial sounding. However, Come Taste The Band lacked one thing that most Deep Purple albums had, consistency and quality. Critics described Come Taste The Band as a weak album. Given the reviews of Come Taste The Band, this didn’t auger well for Deep Purple. And so it proved to be. In Britain, Come Taste The Band reached number nineteen and was certified silver. This equated to just 60,000 sales. Meanwhile, Come Taste The Band stalled at forty-three in the the US Billboard 200. There was no glittering prize this time around. This was disappointing. However, things got worse when two members of Deep Purple spent time in jail. After the release of Come Taste The Band, Deep Purple headed out on tour, to support their tenth studio album. All was going well until the band reached Jakarta, in Indonesia. Patsy Collins who was one of the team who looked security for Deep Purple was found dead. An inquiry found that Patsy Collins that there were “suspicious circumstances” surrounding the death. The Indonesian police arrested Glenn Hughes and two others. They were taken to a local jail. To the rest of the band as if the four men were being framed. However, the promoter was determined that show must go on. Meanwhile, the Indonesian promoter had arranged a second concert. There was a problem though; he was only willing to pay for one night. The Indonesian police seemed only to willing to ensure the show went ahead. They brought Glenn Hughes to the venue at gunpoint. The show went ahead, and then Glenn Hughes was returned to jail. Meanwhile, Tommy Bolin was given some morphine by the promoter. This would have consequences on the Japanese leg of the tour. By then, a satisfactory solution had been found to the problem of the “charges.” Deep Purple’s management had to not only forego their fee, but pay add a further sum of money to the pot. This it was alleged was given the Indonesian police and army, who made sure Glenn Hughes was able to leave Indonesia. A relieved Deep Purple left Indonesia, en route to Japan. On the flight to Japan, Tommy Bolin took the morphine the Indonesian promoter had given him. He promptly fell asleep for over eight hours. Unfortunately, he had fallen asleep on his arm, and when he woke up was unable to play guitar properly. With Tommy Bolin indisposed, Jon Lord had to play many of the guitar parts on his keyboards and organ. This was just the latest problem that had beset Deep Purple. They seemed to be fated. So it was no surprise that when the tour ended, Deep Purple split-up until 1984. Deep Purple Mk. IV called time on their career in the spring of 1976. 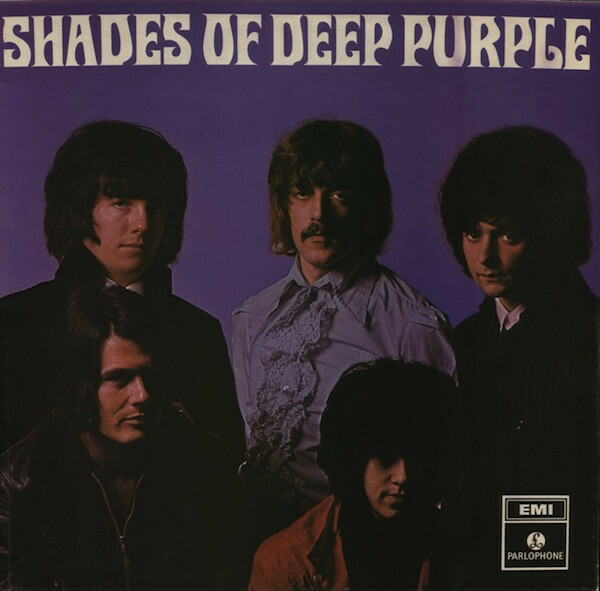 Only Jon Lord and Ian Paice remained from the lineup of Deep Purple that released Shades Of Deep Purple in 1968. Two years later, Deep Purple In Rock transformed the fortunes of Deep Purple. For the next five years, commercial success and critical acclaim would be constant companions of Deep Purple. Between 1970 and 1975 Deep Purple enjoyed worldwide success. Deep Purple would also become one of hardest rocking groups of the seventies. The “unholy trinity’s” penchant for the rock ’n’ roll lifestyle was legendary. Excess and extravagance was an everyday occurrence. Similarly, chaos and carnage was omnipresent as the “unholy trinity” toured the world. Each group seemed to determined to outdo the other. Hotel rooms were wrecked, televisions thrown out of windows and copious amounts of drink and drugs consumed. They were living the dream. That dream appeared to continue until Who Do We Think We Are. By the time Deep Purple began work on Who Do We Think We Are, all wasn’t well within the band. Things had gotten so bad, that a schedule was drawn up that allowed band members to record on their own. Somehow, Deep Purple managed to complete Who Do We Think We Are, which was well received by critics and a commercial success. After that, Ian Gillan and Roger Glover left Deep Purple. The departure of Ian Gillan and Roger Glover looked as if this spelt the end of Deep Purple. Maybe it would be best if Deep Purple called it a day, while they were at the top. Instead, Deep Purple continued but were never quite the same band. Deep Purple released three albums after Ian Gillan and Roger Glover left. Burn was the best of the trio, but still didn’t come close to matching the quality of the albums Deep Purple released during their classic era. The other two albums, Stormbringer and Come Taste The Band were disappointing albums. By Come Taste The Band, Deep Purple knew their time was up, and called it a day in the spring of 1976. It was the end of era, but not the end of Deep Purple. Eight years later, the original lineup of Deep Purple eventually made a comeback, and released Perfect Strangers in 1984. During the eight year period Deep Purple were away, Led Zeppelin called it a day after the death of drummer John Bonham. This left a huge void. When Deep Purple returned in 1984, this went some way to filling it. Good as the reunited Deep Purple were, they never released albums of the quality that they released between Deep Purple In Rock and Who Do We Think We Are. These albums were classics, and featured Deep Purple at their hard rocking best. These albums have stood the test of time. 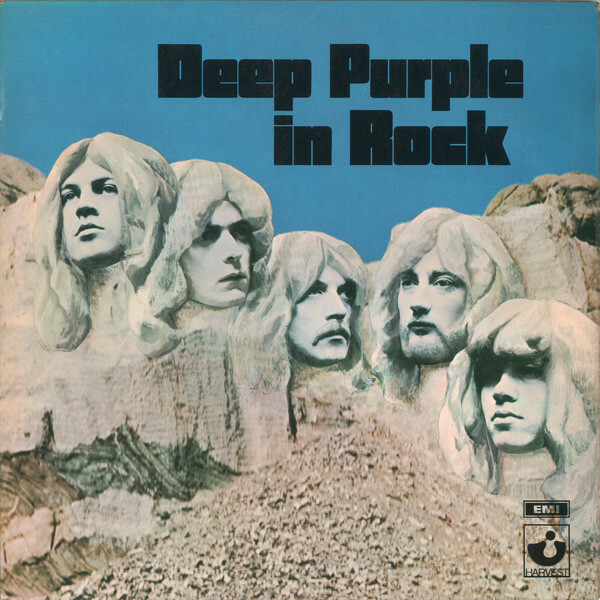 Over forty years later, and many of Deep Purple Mk.II’s are now regarded as classic albums; while Deep Purple are now regraded as rock royalty. The same can be said of Led Zeppelin and Black Sabbath, the other members of the “unholy trinity of British hard rock and heavy metal.” Their music is a reminder of the golden age of rock. Especially the music Deep Purple released between Deep Purple In Rock Who Do We Think We Are. These albums feature the finest music of Deep Purple’s long career. During the period Deep Purple recorded these classic albums, their penchant for the rock ’n’ roll lifestyle was legendary. It came with the territory. This was after all, rock ’n’ roll. Chaos and carnage was omnipresent and expected as Deep Purple toured the world. This never seemed to affect Deep Purple’s music. Just like Led Zeppelin and Black Sabbath, Deep Purple were the hard rocking, hard living, good time band, for whom commercial success and crucial acclaim were constant companions. ← THIRTY YEARS OF THE TRASHCAN SINATRAS.